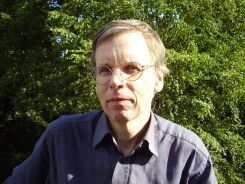 David McClure is a television producer and freelance writer and journalist. He has worked for Reuters, BBC News and Thames Television and made current affairs programmes for Channel 4 and Sky News. He was also written for The Sunday Times and The Guardian and is currently developing a documentary on the royal finances. "Wonderfully interesting book about the underbelly of the royal family. " David McClure’s fascinating investigation into the wealth of the royal family Royal Legacy has been generating lots of interest, spurred by the engagement of Prince Harry to Meghan Markle. Another interesting piece from Royal Legacy author David McClure. King Charles III: Is the Queen getting ready to hand over the reins to her son? David McClure’s sensational book about the royal finances, Royal Legacy, featured heavily this week in an article in the Daily Mirror on the proposed Buckingham Palace repairs. David McClure has written a very interesting piece for the International Business Times on the royal family’s mysterious finances. Royal Legacy by David McClure and The Devil’s Work by Dominic Adler have both been shortlisted for the People’s Book Prize. Both were published earlier this year by Thistle Books. 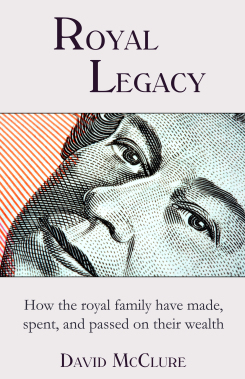 David McClure has written a fascinating opinion piece on the Queen’s finances, following the publication of his book Royal Legacy by Thistle Publishing. If the Queen can’t pay the bills, why not sell a palace or two?